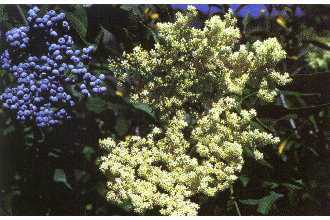 Elderberries are in bloom now in the lower elevations of Puget Sound. 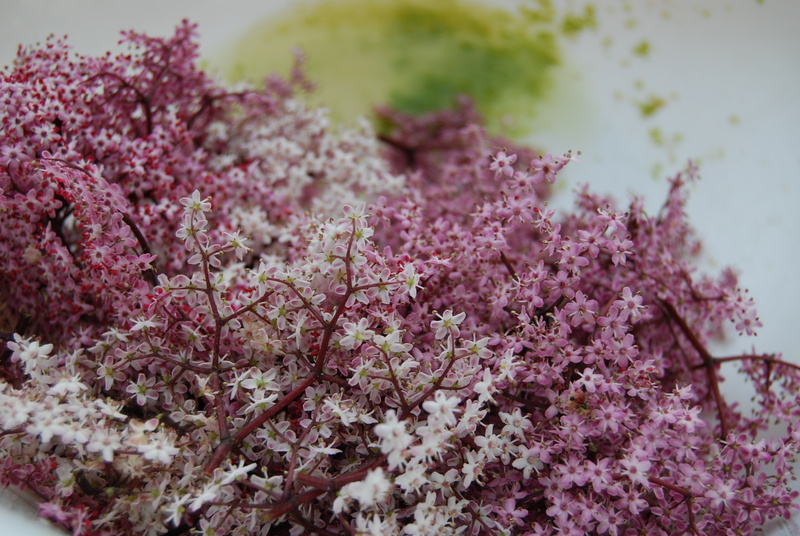 The Blue or the Black Elderberry is the one to use instead of the Red Elderberry. 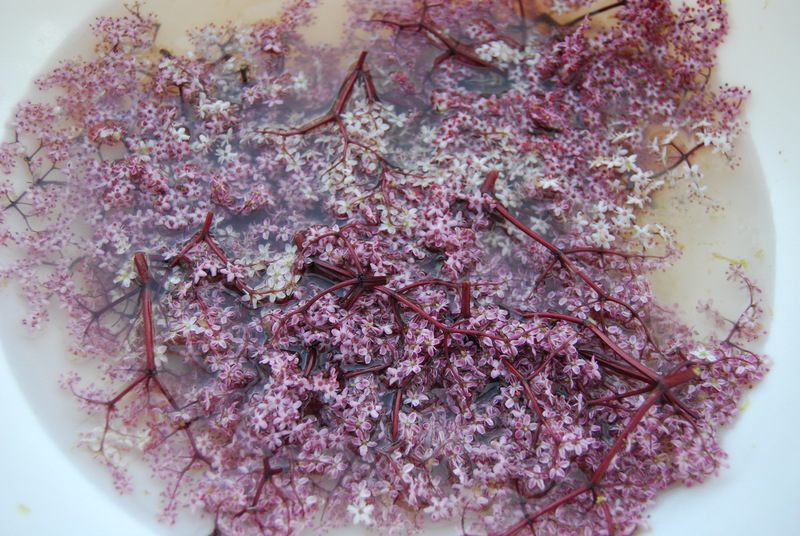 These fragrant white to pink flowers can be gathered, steeped, then the liquid sugared to make a delicious syrup. If you have the patience to wait, the dark blue berries can be gathered in the late summer to make into a dye, syrup or wine. Zest the lemons or limes and put in a large bowl, then the citric acid and lemon or lime juice. Bring the sugar and water to a boil, stirring occasionally to dissolve. Pour the syrup into the bowl and stir to combine. Cover the bowl with a tea towel and let it sit for 2-4 days. Strain the mixture through a sieve lined with cheesecloth into a clean jar. Store in the fridge for up to six weeks. 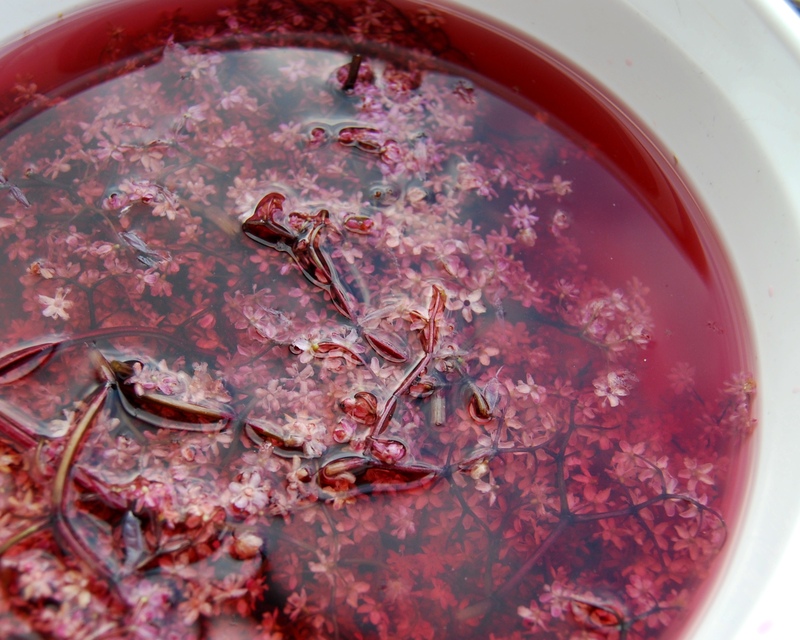 Here is what it looks like after steeping for a couple of days. Here is the strained syrup. This syrup has a very delicate flavor and scent. 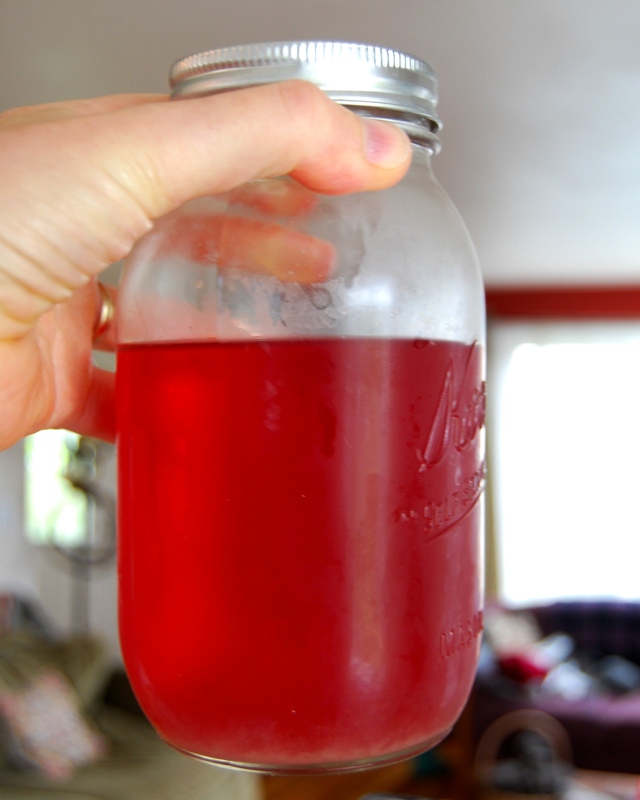 It tastes good mixed with seltzer water or even better with some champagne or vodka.